Combine a cruise with a bit of Spice - come race in the Charter Class and maybe pick up a prize or three! Ondeck has yachts from 40 - 65ft for charter, with or without professional crew. With bases in the UK and the Caribbean and a proven charter track record, Ondeck can help you to rock up, race and relax. 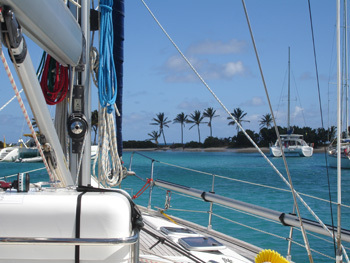 We have one charter package: hassle free racing on great yachts in warm trade winds and crystal waters. Let us help you to enjoy the best that Caribbean racing has to offer. 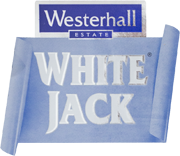 Charter includes: Race entry fees, dockage, on board water, shore and maintenance support. 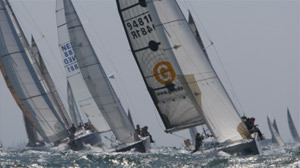 We offer competitive racing aboard our Jeanneau 52.2. Spaces for Individuals or small groups sharing the boat. 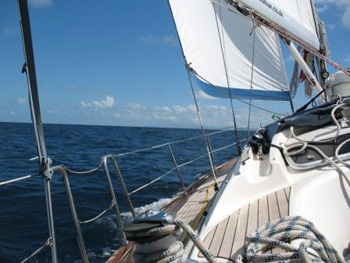 Come racing at Grenada Sailing Festival aboard our Crewed Yacht Great Escape. Join us on 26th Jan for our practice day then 4 days of racing. 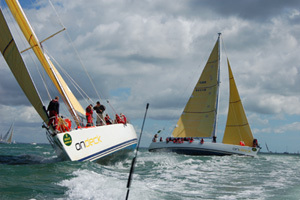 Package includes Packed race lunches and berth in Port Louis Marina for the regatta, 1 practice day and 4 days racing. JOIN THE GIRLS AND HAVE FUN!! 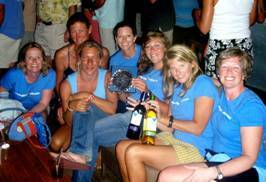 Why not join the girlsforsail crew for Grenada Sailing Festival! We take all experience levels onboard our fully coded racing spec yachts. Giving 3 days training before the racing starts to show you the ropes! 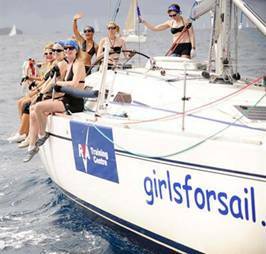 What separates us from the other charter choices (apart from being the only all girl crew) are our rules.. the most important being that we always have FUN because we're a calm boat - so we don't shout! 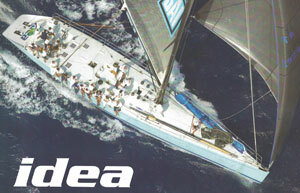 IDEA is a project created by Californian architects Reichel & Pugh, in cooperation with Nauta Yacht Design in Milan who signed the most successful yachts in the world scene in recent years. Reichel & Pugh consider Maxi IDEA to be one of their best creations in the Maxi Yachts competitive landscape. Built by Cantieri Latini, Guidonia (LT Italy), Maxi Idea is entirely built in carbon fiber and gives an immediate expression of design, power and speed. 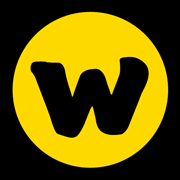 Maxi IDEA has been upgraded continuously which has helped maintain its competitiveness at the highest levels. 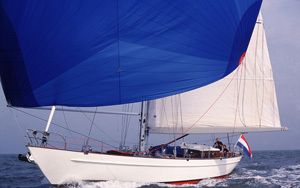 Experience exhilarating racing on our beautiful race ready Jeanneau 49 equipped with new Hydra-Net sails. 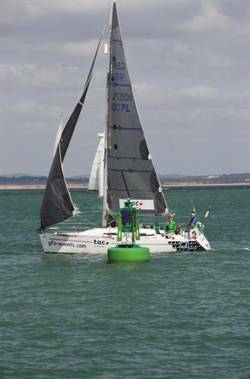 Can race with up to 12 with accommodation on board for 8. Fast and powerful yet comfortable and spacious. Winner of class and overall champions Manches Cup 2011. Fun, relaxed but competitive skipper! Come racing with us in style on Lady Ann! Lady Ann is a beautiful, elegant yet fast 'modern classic' 65ft sailing yacht, that offers you racing in style: a classic looking yacht, but with all modern-day creature comforts, and great sailing performance due to a modern underwater design and high-performance rig. 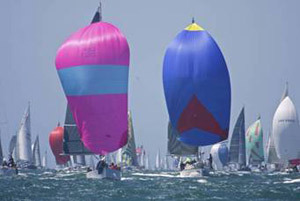 With a genaker and a spinnaker, we are well equipped for all the Caribbean racing weather. She is run by very experienced couple Boogie and Marlies as skippers, who are regulars on the Caribbean regatta circuit and will help you to get the most out of your racing in the sun! They are known for their fun, relaxed and safe way of running their boats, yet remain very competitive. Lady Ann is available for full boat charter for the Grenada Sailing Festival or for a fantastic day out on the water seeing the action up close as spectator. We offer a package where you can stay on board or sleep ashore and join us every day to come racing. Email us at: info@ladyann.nl for more information! Come spectating with us in style on Lady Ann! 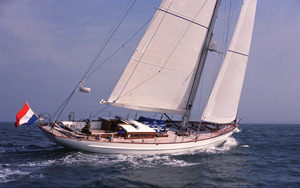 Lady Ann is a beautiful, elegant yet fast 'modern classic' 65ft sailing yacht, that will be the ultimate choice to get out on the water and see the racing action close up. She offers spectating in style: a classic looking yacht, with all modern-day creature comforts, and great sailing performance due to a modern underwater design and high-performance rig. She is run by very experienced couple Boogie and Marlies who know the Caribbean regatta circuit extremely well and will make sure you make the most of your day on the water! They are known for their fun, relaxed and safe way of running their boats. You can join us for the whole week or just for a day. The package includes lunch and complimentary (soft)drinks. Email us at: info@ladyann.nl for details and more information!